Nycra is designed specifically to be garment dyed, a fabric that has nylon’s tenacity and Lycra stretch features. Research is a trial and error process, full of dead end streets and failures. You fail one, two, three, ten times. But then, sometimes, the pieces of the puzzle just fit, and you’ll create something new, something great. C.P. 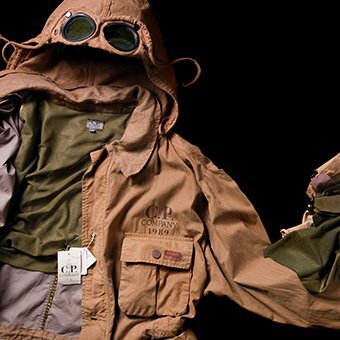 Company research ethics is grounded on founder Massimo Osti’s painstaking work, on his continuous try to evolve fabrics and clothing, to make them better, more comfortable, more functional. He also wanted to garment dye every piece of clothing. 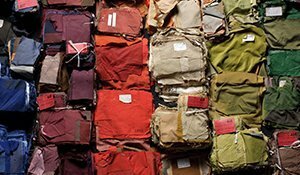 Garment dyeing is an amazing way to make any fabric almost unshrinkable, and to give it an unparelleled softness as well. Any piece of clothing, when garment dyed, become comfortable as it was part of our wardrobe for years, even though it’s actually new. But garment dyeing has its rules, like the one who impose the dyeing process to be executed at high-temperature (over 90°). It’s so hot, it can transform fibres. Like making them lose their stretch properties. Nycra is born from C.P. 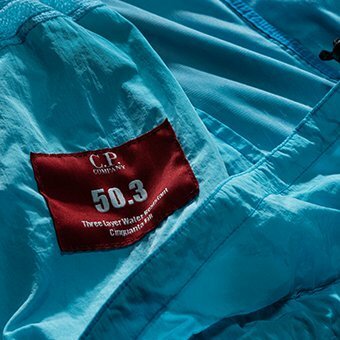 Company’s will to give stretch properties to the high-quality nylon used to produce a big part of C.P.’s collection. 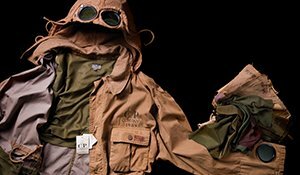 The initial target was to enhance nylon fabrics performance, to produce shoulderpieces that won’t restrain body movement. That’s why C.P. Company turned to Lycra, one of the very first revolutionary man-made fibre which changed clothing during the 20th century. The invention of Lycra is credited to american chemist Joseph Sivers. 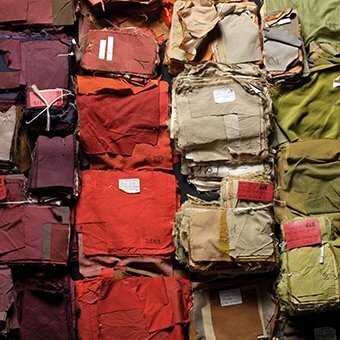 During wartime, Shivers started to look for a substitute to the rubber used to make women’s girdles. During his experiments, he invented a new elastic fibre, which wasn’t really appreciated by DuPont, the big company he was working for at that time. They told him to give up his experiments with stretch fabric. He did not. Shivers was a stubborn researcher: he kept on working on his new fibers for ten years, until one day he finally perfected Lycra, at the end of the Fifties. That’s why C.P. Company likes Lycra: it’s a revolutionary invention born from a stubborn man, capable of looking straight to the future of clothing. Like Joseph Shivers on his Lycra, C.P. 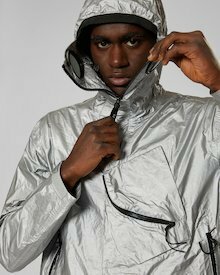 Company worked painstakingly on Nycra, trying to find the right amount (a small amount indeed, less than 5%) of Lycra to mix with nylon, so to produce a fabric which could be garment dyed, not losing its stretch properties in the process. Nycra is designed specifically to be garment dyed, a fabric that has nylon’s tenacity and Lycra stretch features. 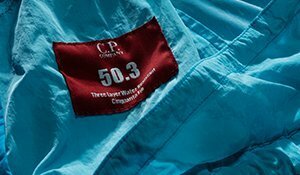 Also, the garment dyeing process gives amazing colour depth to the finished garments, which become also water and stain-resistant after a final anti-drop treatment.